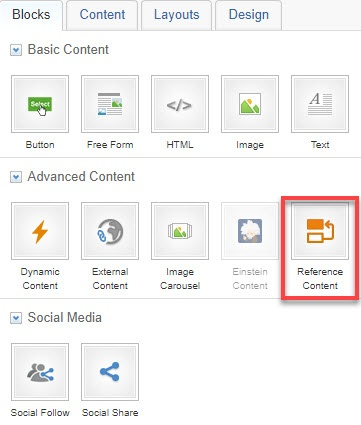 Use a Reference Content block when you want to point to existing content that is used in multiple places. Then, whenever you update the content in the original source, your content block will always have the most current version of the information. When the block opens for editing, you'll see a list of the local folders. Find and click the content you want, and then click Select. After you've selected the content item, you'll see a preview. 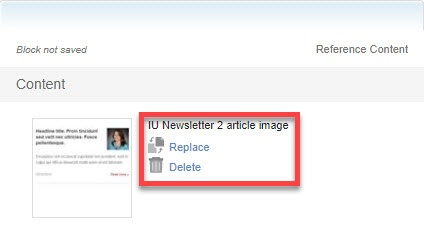 You have the option to Replace or Delete the reference content.